Here are three simple steps by the digital marketers of SEO Company in Gurgaon to help you in creating a blog like experts. The first need before starting any work is to understand why you are doing this. Understanding the needs and goals open various paths, so always start with a why. Is it for e-commerce business? Is it for an education portal? Is it for the corporate industry? Once you identify the need of the blog, work on understanding the requirement of your blog post. As per our experience of providing SEO services in Delhi from a long time, we always suggest doing prior research before writing a blog post. 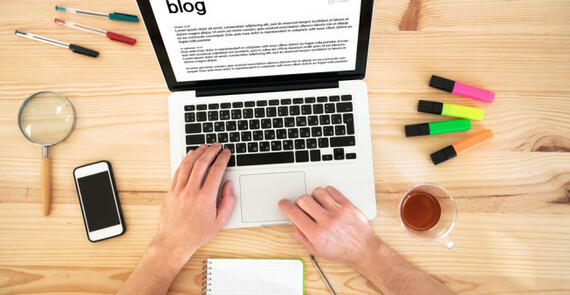 For writing an effective blog post, you need to know what your audience wants and what they will like to read. According to the SEO companies in Gurgaon, understanding what are the needs of the audience and how can you solve them is a smart strategy to gain the attention of the audience. Imagine somebody has a beauty blog and instead of writing beauty tips and tricks, he or she is telling about other things. Doing such things always creates a very bad image of the blogger in front of the audience. Do that what you have promised to serve to the audience! Always choose blog topics on which you are confident and qualified to write. If you are a beauty expert, then create blog posts on beauty only. Do not try to jump on the other blogger’s race. Whatever you write, write it perfectly. Give ample amount of time to the research, understand your target audience, and then start writing the blog. Use the right tone of voice for your audience and try giving answers to all the questions that your audience is looking for on the internet. Our SEO Company in Gurgaon also suggests being updated with all the new things happening in the digital industry. We hope these points will help you in creating useful content for your business! However, if you are unable to create content that is worth reading and sharing, then contact Crux Creative Solutions. We are a leading SEO Company in Gurgaon and have a team of efficient readers that can deal with every problem related to the digital industry. We would love to hear from you!